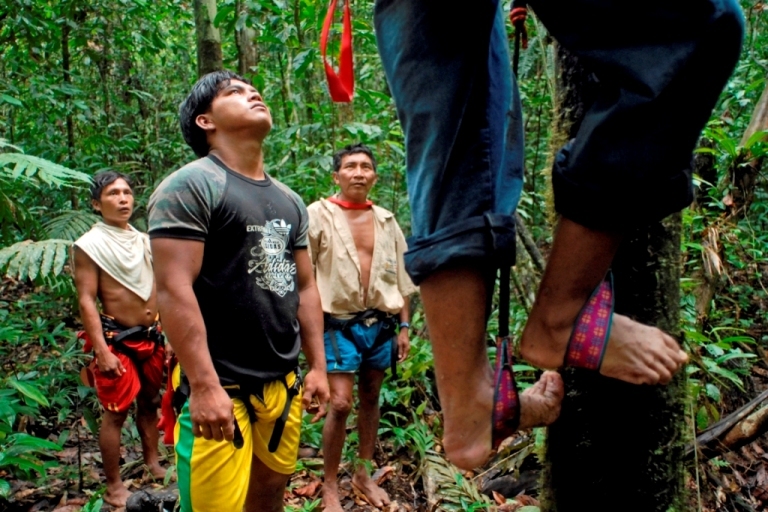 Indigenous people of the Caura traditionally harvest fruit by climbing trees—many over 20 meters tall—using a loop of bark or vines placed around their feet. 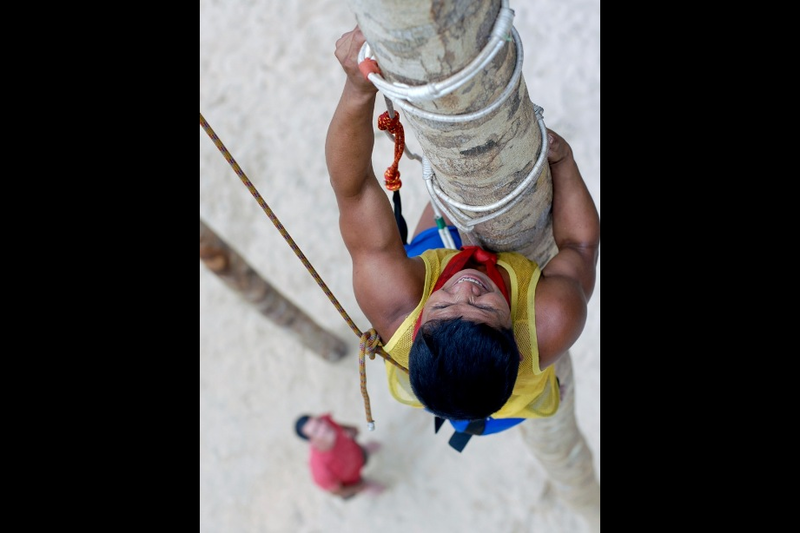 Climbers grip the tree trunk with their constrained feet and employ friction between the loop and the tree’s bark to ratchet themselves up to the fruit. Increasingly, young men no longer climb, but simply chop trees down. This is part of a new trend where displays of force hold more prestige for the young than what they regard as an unnecessary, perhaps foolish struggle. 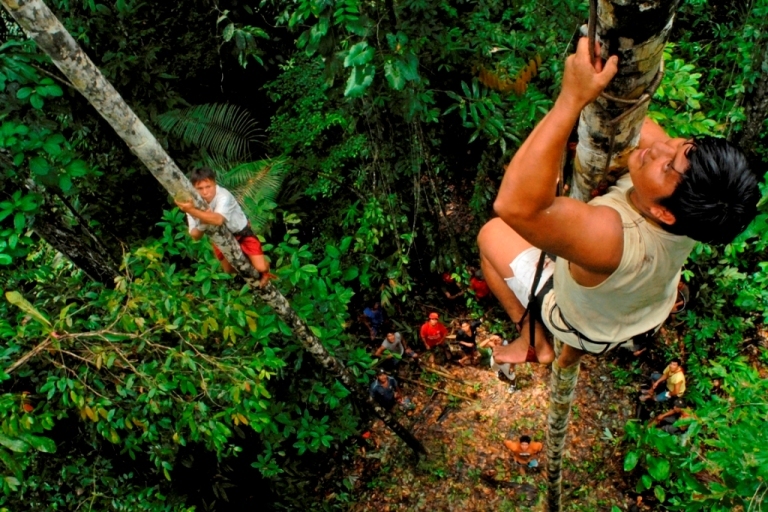 The shortsightedness of this modern practice—and its effect on fruit resources for wildlife—lead community elders to support a program that encouraged prowess in the old climbing techniques. 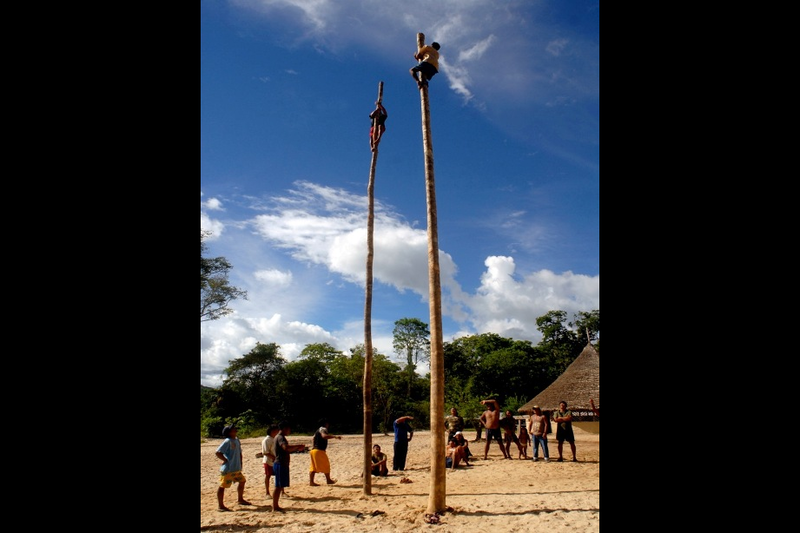 Around 300 Sanema and Ye’kwana men women and children gathered below Para Falls on the Caura for the first Palm Climbing Workshop and Competition in May 2002. 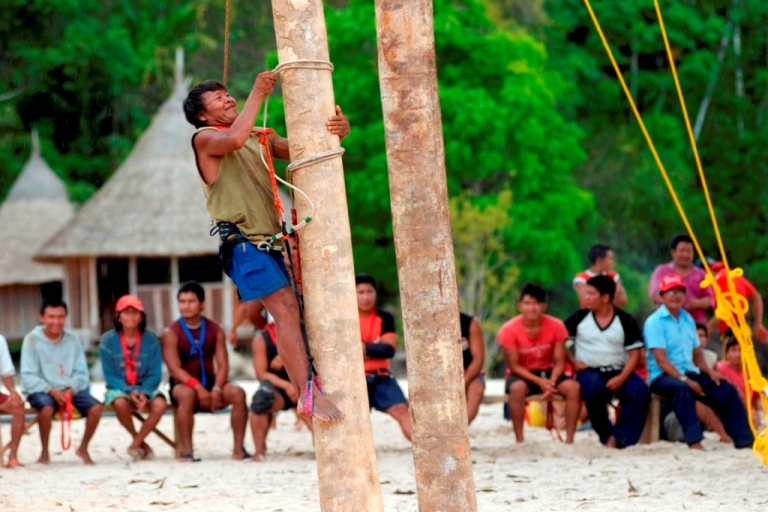 By bringing people together to share old climbing techniques, learn new ones, and test each other in competition, this event promoted a return to sustainable fruit harvests. Modern safety techniques and simple equipment were distributed along with T-shirts promoting traditional climbing practice (T-shirts with commercial messages are rampant). 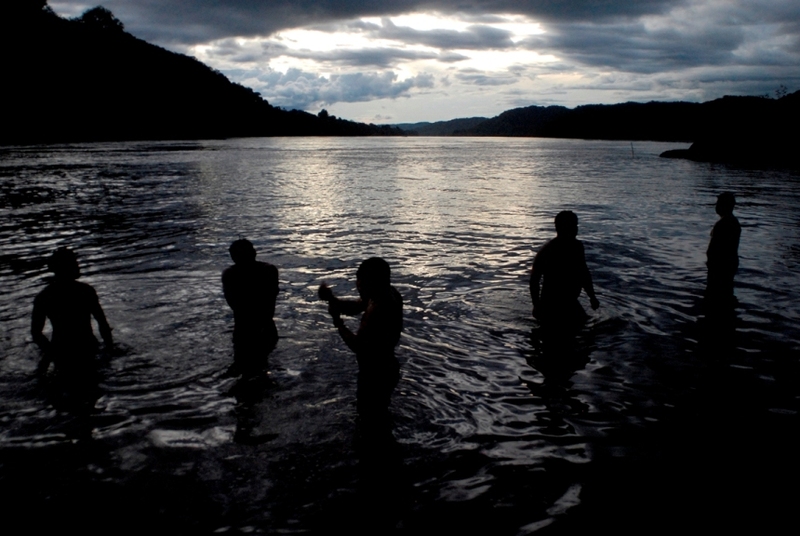 The incredible enthusiasm of the participants indicated an enormous potential for renewed indigenous conservation of the Caura Basin’s vast rain forests. Watershed-wide competitions were held in 2008 and 2011. 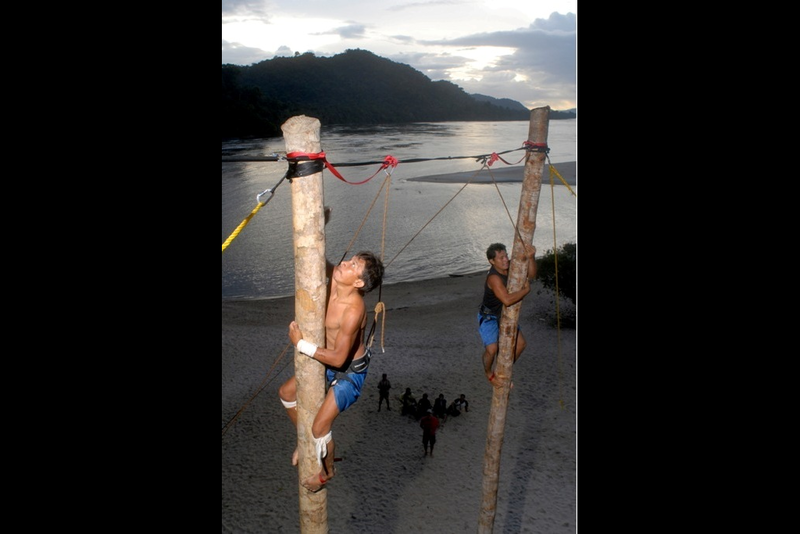 We have developed gear for climbing palms that is efficient, safe, and relatively inexpensive. 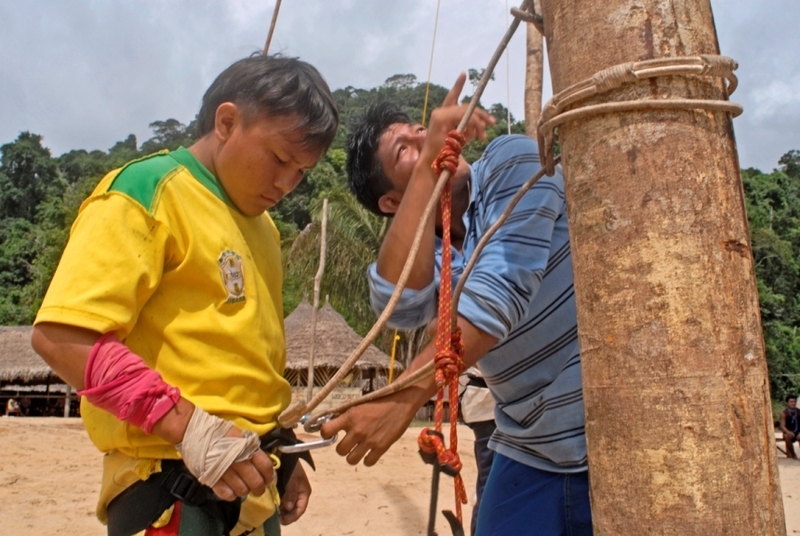 We have also begun to extend the Palm Climbing Project outside of the Caura Basin to other areas of Venezuela and to Peru. 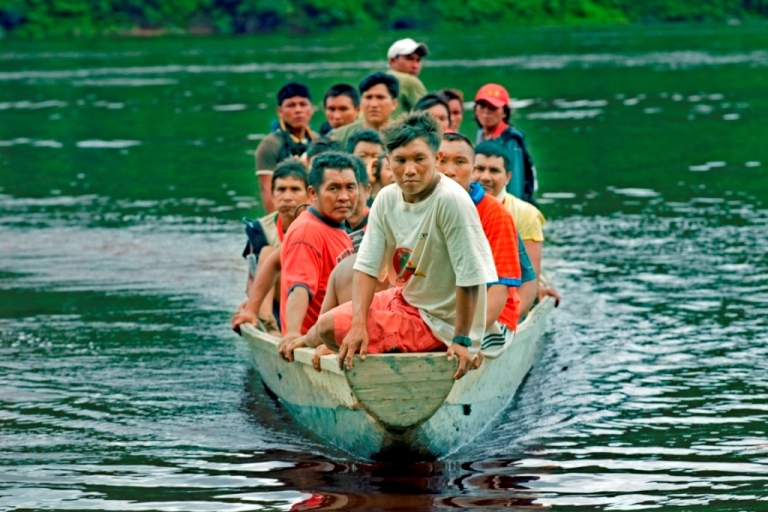 Indigenous people in the Caura rely heavily on commercial hunting and fishing to generate cash revenue. The price paid for bush meat is often considerably lower than the price of beef. Cash is used for motors, supplies, some food, and health care. 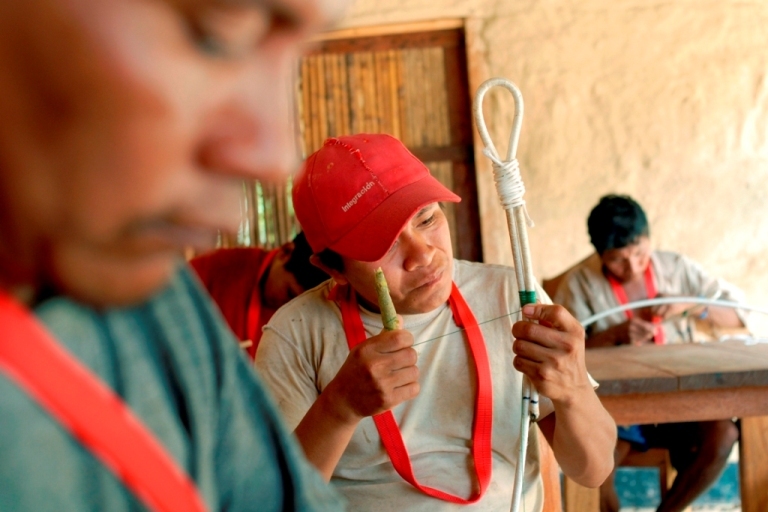 Income from non-timber forest products could help eliminate commercial hunting. 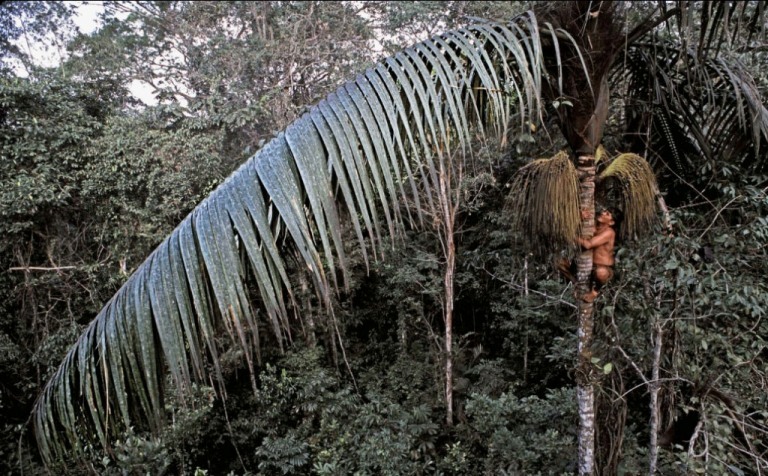 Oenocarpus palm oil (derived from the fruit pulp) has commercial value as a remedy for asthma, as a fine cooking oil similar to olive oil (monounsaturated), and as a base for fine soaps and shampoos. 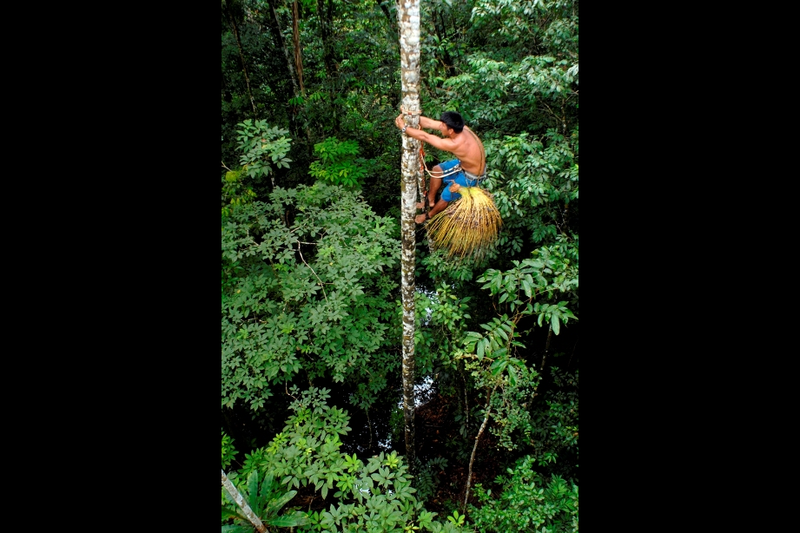 Commercial operations have harvested this oil in nearly every country of the greater Amazon Basin. 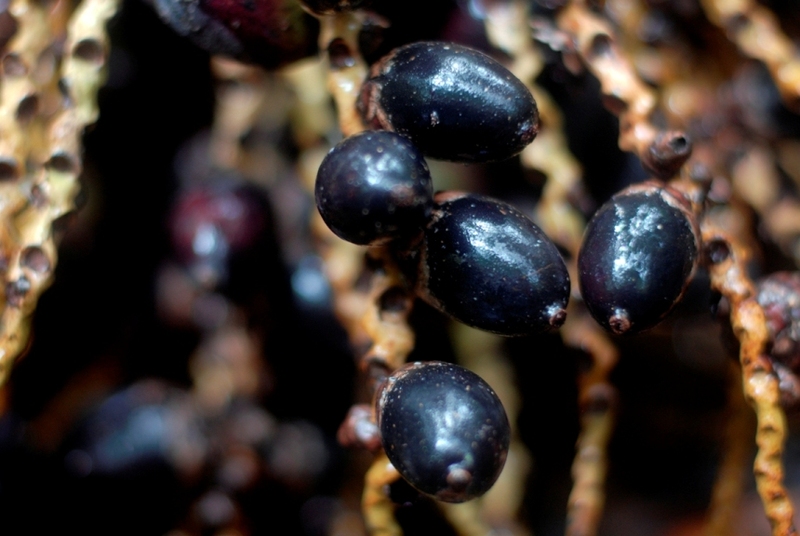 (during WWII, annual Oenocarpus oil production in Brazil reached >200 tons, roughly US$6.6 million in today’s dollars). In the Caura Basin, there are several known naturally-occurring monodominant Oenocarpus stands which should be mapped using GPS technology. Agreements must be reached as to how the fruit will be harvested and transported and where the oil will be extracted. Ultimately, we are advocating that a very small processing facility be located in the region to retain maximum product value with the indigenous producers. For now, however, we are focusing on sustainable harvests pertaining to current fruit consumption patterns by making our innovative climbing gear more widely available.